This says two hours, but it must have been more like three. 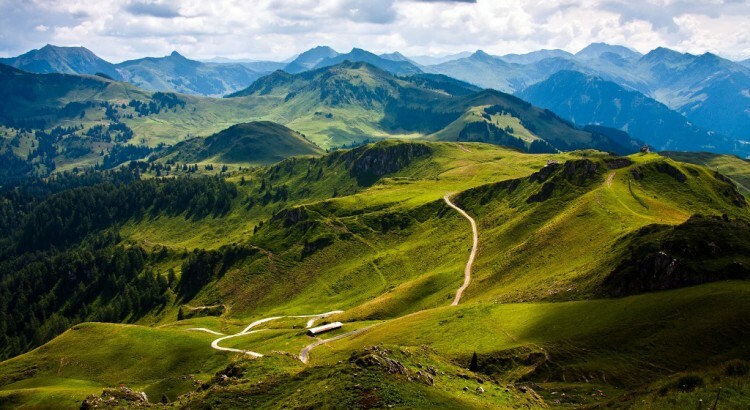 It was a split second decision on a late Friday afternoon to go to Zlatibor, a famous mountain resort in Western Serbia near the Bosnian border. The manner in which the four of us came to the conclusion to make the three hour journey so late on a Friday afternoon was quite spontaneous and preposterous to everyone involved. 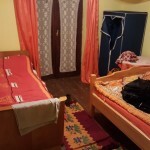 We had been discussing our weekend plans for several hours by the time, half jokingly, we arrived at the conclusion that the trip would be a good idea considering again none of us had ever been to Zlatibor and had no plans whatsoever for an overnight stay. After we had made our decision the four of us at the small kitchen table had a great time relaying our plans to our other classmates who similarly shared a hearty laugh with us in disbelief. After sharing our plans with everyone else in the shard student dormitory we still had room for one more person, so I took it upon myself to invite the man from Japan who had spent the entirety of the afternoon downstairs in the classroom diligently studying. In his usual “ready for anything” attitude he enthusiastically replied “No problem!” to the invitation before hurriedly packing away his study materials and rushing up three flights of stairs to pack. He did all this with absolutely no notice, no complaints, and I like to think without any regrets. We must have been somewhat of a sight for the others to behold as we left the school house without much fanfare and intentionally skipped the planned nightly cultural event which would have consisted of singing a few traditional Serbian songs. We spent the next three hours crowded into the same Toyota Yaris that had taken us just one week earlier to Šabac. 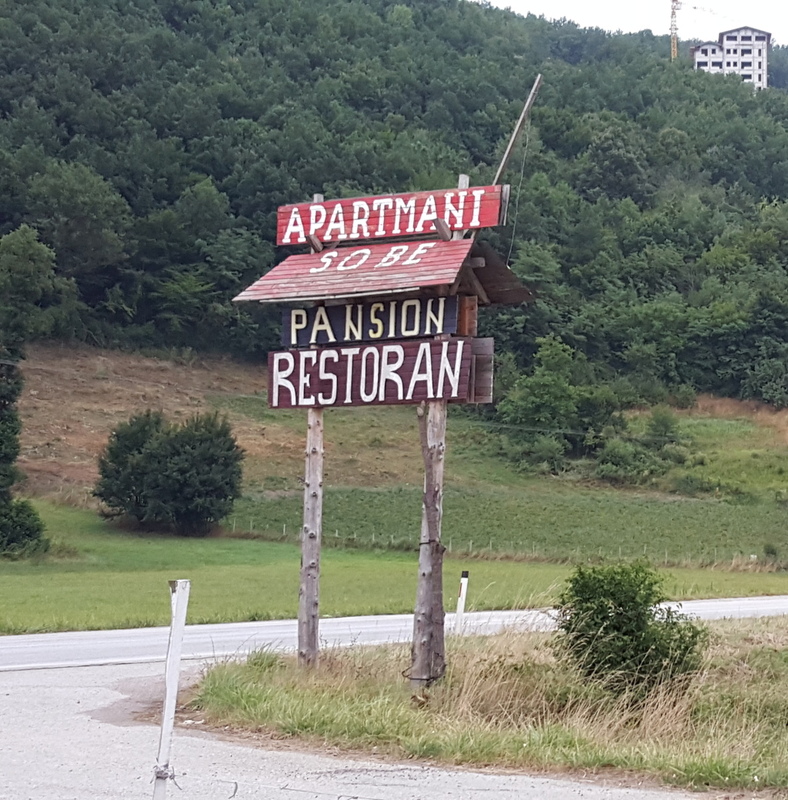 These hours were not at all pleasant as we meandered through the narrow, serpentine, poorly maintained mountain roads through Serbia’s western mountain range. Car sickness set in within the first forty minutes of the journey. The age old trick of watching into the distance had no affect as the most distant object was most usually a sheer rock cliff face which perpetually rushed from immediately in front of us to distantly behind us as we twisted through the narrow mountain passes. The three of us in the back seat did our best to steady ourselves so as to not invade the personal space of our neighbor’s. I think we gave up after only twenty minutes of acute futility. This place isn’t even on Google Maps. Eventually, we begged our driver, the woman from Hungary, to stop at a small village. We parked near what might have been a decent restaurant whose employees would have likely been perplexed as to why such a varied group of foreigners would ever visit such a small restaurant in such a small village in the mountains had it not been closed. Though it might have surprised them more still had they discovered that we were bothering to learn their language. We must have been quite a sight to the two young boys who were hanging around the closed restaurant on their bicycles as we all, gasping for fresh air, practically fell out of the car. As we stood in the otherwise deserted village we wondered if the man from Japan was the first person from Japan to have ever been in this particular part of Serbia. I do remember asking one of the boys for the name of the village, but unfortunately I had forgotten it by the time of this writing. The fog really adds something to the location. 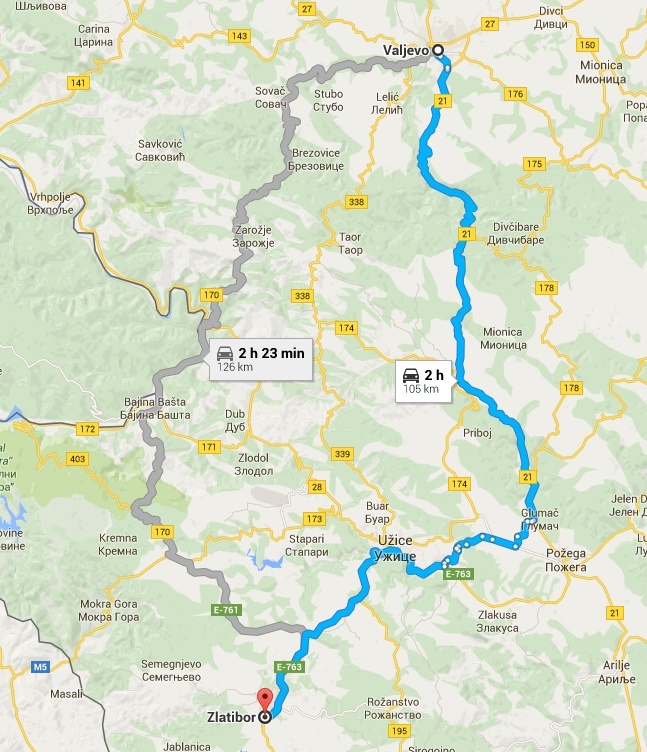 Thankfully, it was not too much longer before we reached Zlatibor. 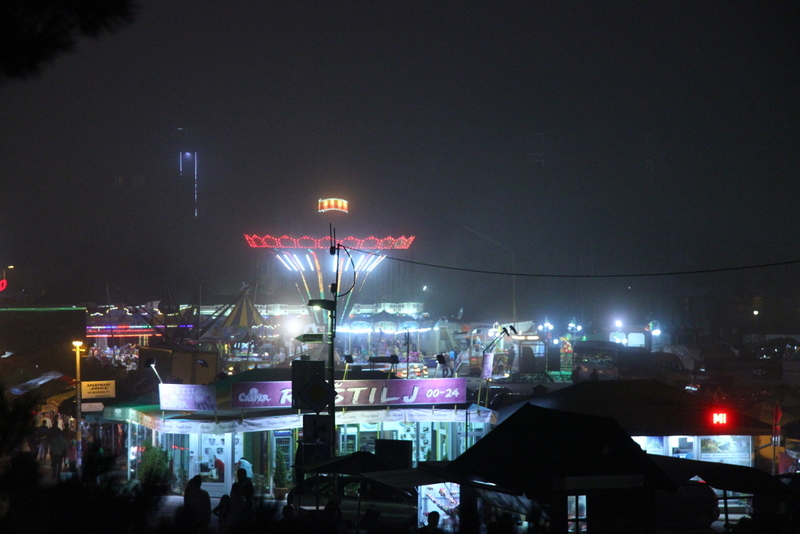 The misty mountain air and the arrival of night did much to create the illusion that we had arrived at some sort of creepy, abandoned amusement park. 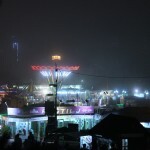 The carnival lights glowed through the dense fog as we drove through the city eerily reminded us that we probably should have found accommodation before we left the schoolhouse. Cautiously, we wove our tiny car through the sauntering, intoxicated masses in search for a hotel which didn’t look like it might swallow our wallets. After fruitlessly driving for what I thought was a little longer than we should have we decided to find someone on the side of the road who held a cardboard sign which advertised rentable rooms. The first man we spoke with only had a room with two beds and was more than a little frustrated that five strangers of mixed gender were less than willing to dog-pile into two beds in a random stranger’s house. 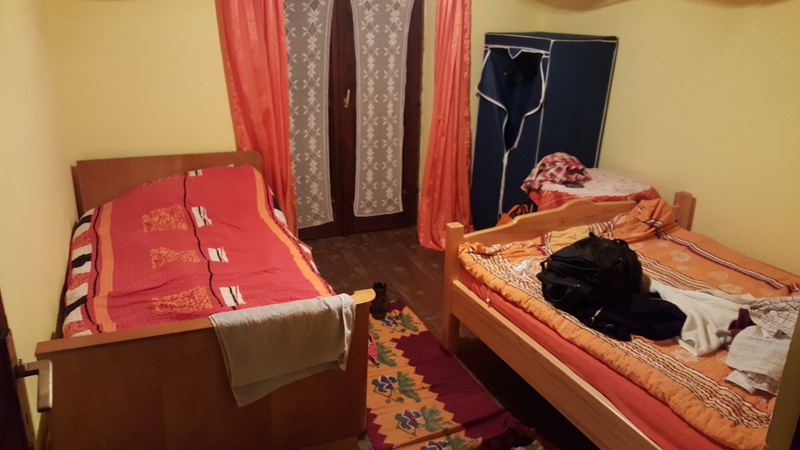 The second lady was also disappointed that none of us were a couple, however she allowed us to haggle our way into a three bedroom complex with a sufficient amount of beds (4) and a few couches all for the low, low price of fifty euros. These rooms were quite cozy. Doing our best to remember the way we had come, we followed her through the mountain resort to a small, hidden-away, two-story house. I went alone to check out what very well could have been a cleverly designed ambush to entrap naive foreigners to find, almost disappointingly, the rooms to be more than adequate and containing nothing out of the ordinary except for a pair of kind, old ladies. We quickly moved our things from the car to our rooms before heading back out into creepy, carnival fun land to find dinner. Another awesome tale of action and adventure.